This new RESIN style iStick Pico is a great new vaporizer Box Mod, powered by single 18650 cell, the iStick Pico will provides you with 75W maximum output and upgradeable firmware. 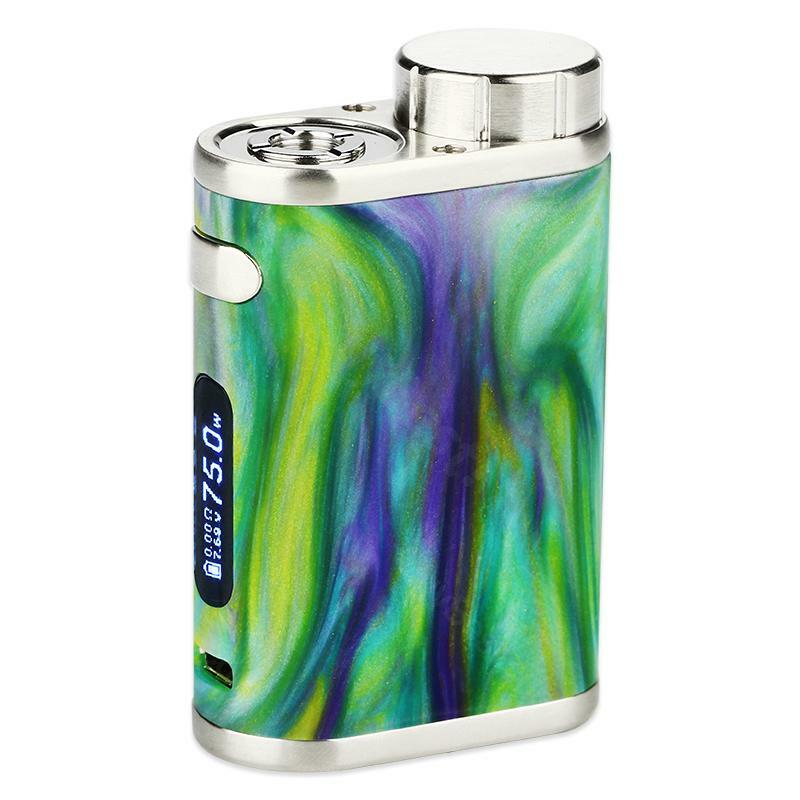 Eleaf iStick Pico RESIN comes with 23mm width and 115mm height, which can provides you with 75W maximum output. The Optional VW/Bypass/TC(Ni,Ti,SS,TCR-M1,M2,M3) Modes can easily switched by operating the bottom ring.It aslo features Compact, Lightweight, Durable and Comfortable to Use, which make it easy and safe to use. With a 510 spring connector, you can buy it for your melo 3 mini atomizer and other 510 thread tanks. eLeaf simply got it right with this mod. Simple, powerful, tough and reliable. One of the better mods out there for doing TC with SS wire. Der Geschmack der Liquids kommt der Geschmackbeschreibung sehr nah. Meiner meihnung nach ist Eleaf iStick Pico sehr empfehlenswert. The material of 75W Eleaf iStick Pico RESIN TC Mod feels really strong, I was really surprised at how well it works.